April 20 is Banana Day. I celebrate this fruit daily with at least one serving. I love bananas sliced on top of cereal. I also enjoy them with a sandwich for lunch. And my pup Abby (you know her as Dear Abby here!) loves a bite of bananas, too. Bananas became popular in the United States largely due to bananas imported by the United Fruit Company, which later grew into Chiquita Brands International. 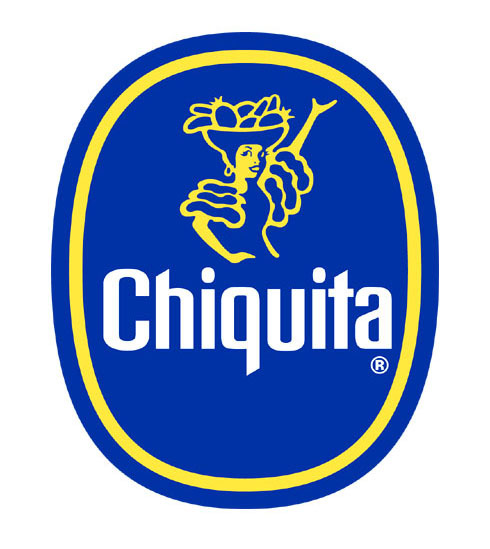 The Chiquita Banana advertising character, Miss Chiquita, was created in 1944 by cartoonist Dik Browne, who also drew the Hagar the Horrible comic strip. The familiar peel off Chiquita stickers with Miss Chiquita started appearing on bananas in 1963. They are still hand placed in order not to damage the fruit. The strings on bananas are called phloem. One banana is called a "finger." A bunch of bananas is called a "hand." There are more than 1000 varieties of bananas, but the one that is popular in America is the Cavendish. Bananas contain six major vitamin groups. Here is the original Chiquita Banana commercial from the 1940's. It was produced by the United Fruit Company. The voice of Chiquita was Monica Lewis, who died in 2015 at the age of 93. Do you love bananas? What is your favorite way to eat them? I'd love to hear from you in the comments, below. Such fun facts! Gave me a good laugh-- fingers and hands, who knew! I need to eat more bananas, I love them but it's just something I forget about buying. My favorite way is definitely in a smoothie. :P I learned something new about bananas today, thanks! I love all your fun posts!!! When I was younger, I was the Chaquita banana girl for Halloween. I also love these random banana facts - I'm going to go home and put my banana in water to watch it float. Lindsay, how cute about the Chiquita banana girl costume! My favorite sandwich is made with bananas and peanut butter. And I dearly love banana splits! So many yummy ways to eat bananas. They never last long at my house. Thank you again for a very interesting post, Trish! How fun! I had no idea bananas could float! Rachel, me either! I haven't tried to float a banana in water - yet! My daughter and I love bananas too! I freeze them often and use them later in smoothies. Thanks for sharing! This was fun to watch! As a vegan I love fruits and specially bananas! I enjoyed watching the commercial, haha! Thanks! I'm vegetarian and love fruit too.